I’ve been dying to get my hands on The Complete Magnolia Bakery Cookbook… finally, I bit the bullet and picked up a copy. Sure, most recipes are available online somewhere these days, but sometimes it’s fun to just flip through an actual book (!) and imagine the possibilities. 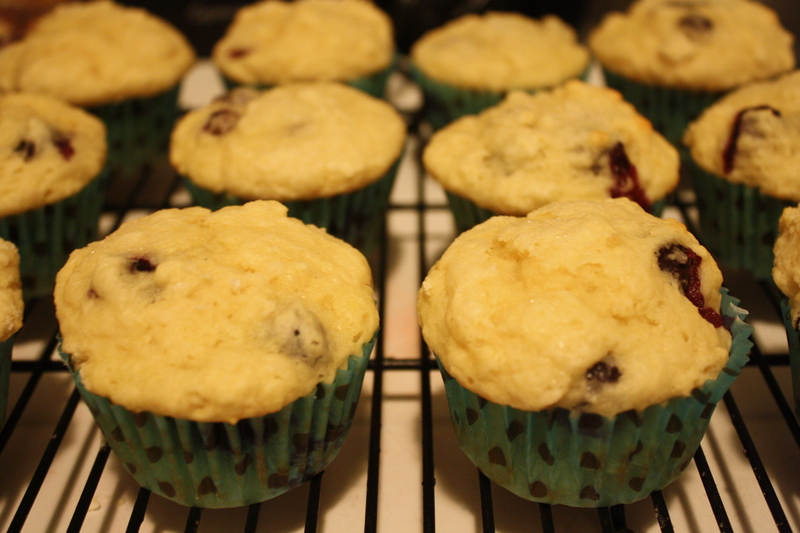 Armed with knowledge on the non-baking half of Foodie Pleasure’s preferences and preparing for a visit to see friends who are also new parents, I knew that Buttermilk Blueberry Muffins would hit the spot. The buttermilk gives a bit of a tang to the expected flavors of a blueberry muffin without changing up a classic too much. Midway through getting everything together, I realized I was nearly out of flour, so I substituted cake flour for 1 cup of the regular. It produced muffins a bit more on the “cake-y” side of things– next time, I might experiment with the ratio again to see what happens! I also plan to add a crumble topping instead of just using sugar– because hey, who doesn’t love crumble? 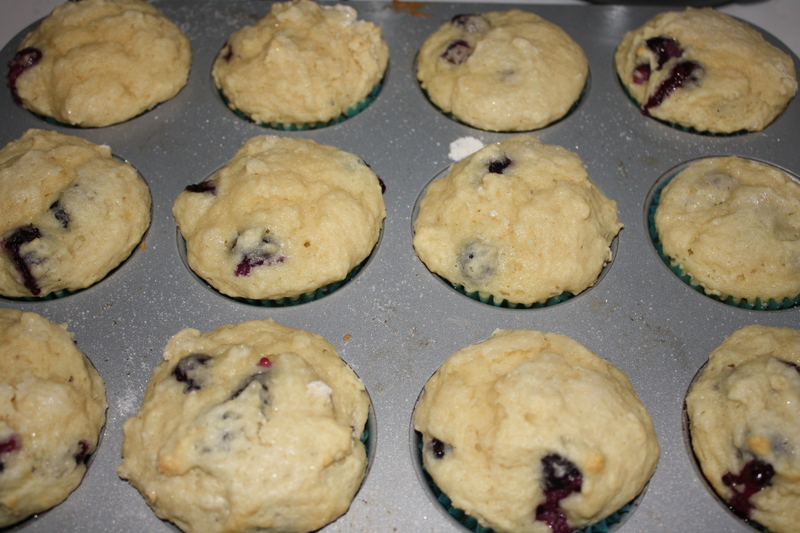 The quick and easy recipe said it would make 12 muffins, which was perfect for my needs. I ended up with 14, which was even better! Looking ahead with a few slight modifications in mind, this is a recipe that I’m sure to make again and again! Ohh I love muffins, I would eat at least half in one sitting.